With Valentine’s Day fast approaching, thoughts are turning to romantic gestures and how to impress loved ones. An active ski holiday can be just as romantic as a traditional city break that many couples opt for. From stunning mountain scenery to luxury accommodation with the best spa facilities and delicious cuisine, a ski trip is ideal for a picture perfect getaway. Many of the hotels we offer have incredible facilities and are located in the best resorts that also offer plenty of activities. Offering holidays to ski destinations across Europe and North America, we have a range of hotels in romantic ski resorts – perfect for couples to be literally swept off their feet, discover them for yourself below. Italian charm, rooms with mountain views and located in central Cortina, Hotel Ambra is an ideal base to experience the area. 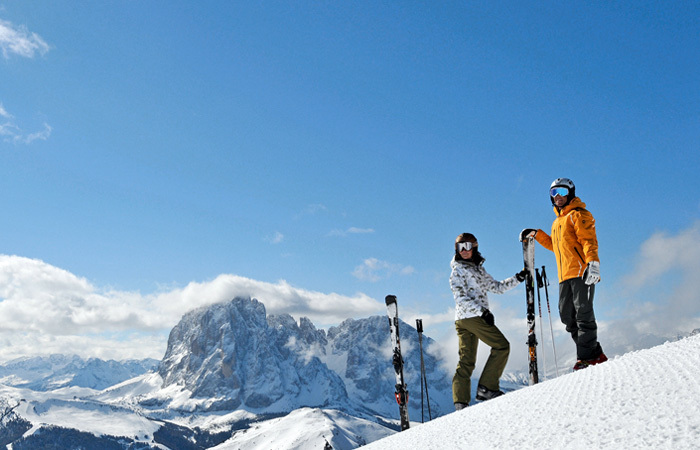 Cortina itself is known as the ‘Queen of the Dolomites’ and is more of a small ski town than a resort, with excellent restaurants including some with Michelin stars and access to over 660 pistes in the Dolomiti Superski area. 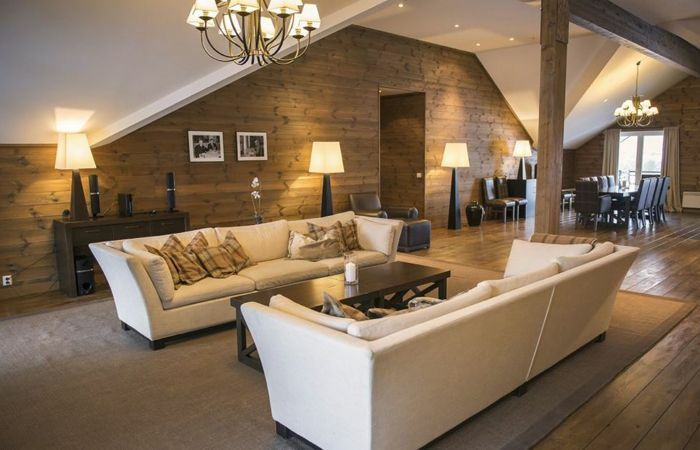 The five-star L’Alpaga hotel in Megève is just five minutes by car from the centre of town and has an excellent wellness centre with a dark stone pool, Hamman, hot tub and treatment cabins. 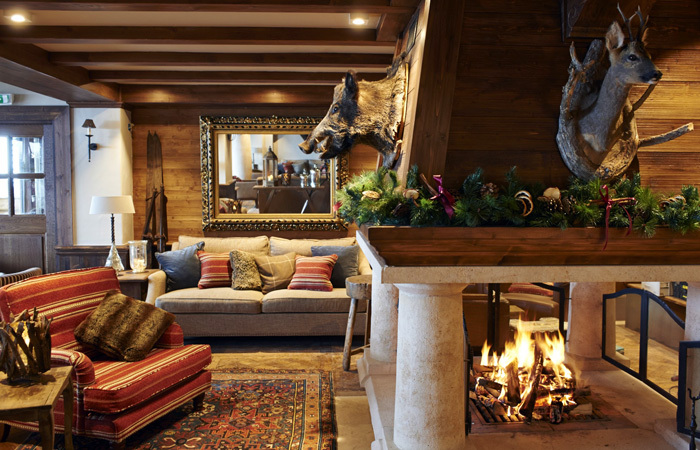 It’s the perfect hotel for couples to unwind after a day on the slopes. The resort has a traditional French village charm making it a must-visit romantic destination, from horse-drawn carriage rides to romantic walks. Couples can even experience the location where Audrey Hepburn falls for Cary Grant in the film ‘Charade’. This world-famous hotel is an impressive landmark, appearing more like a fairy-tale castle in the forest than a hotel. It has impressive facilities including 12 restaurants and a Willow Stream Spa. 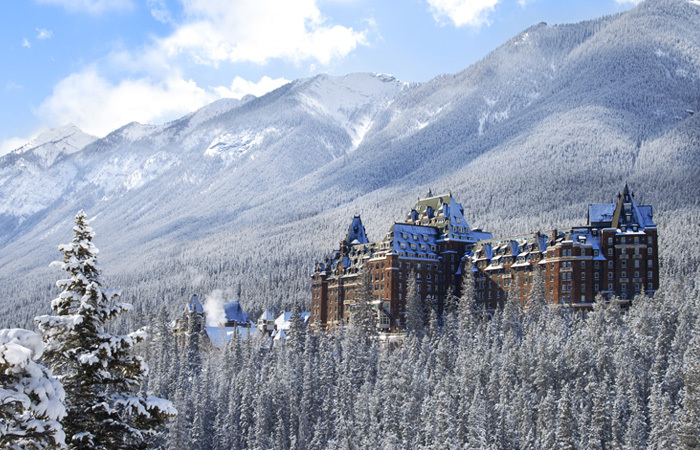 Banff National Park has stunning mountain scenery – a fantastic backdrop for a romantic break. This luxury resort is located in the heart of Geilo and the award-winning adults-only spa makes it perfect for a couples break. Geilo offers other Scandinavian activities aside from skiing. From dog sledding to horse sleigh riding and possibly getting the chance to see the Northern Lights, making it the ideal destination for an alternative romantic trip. 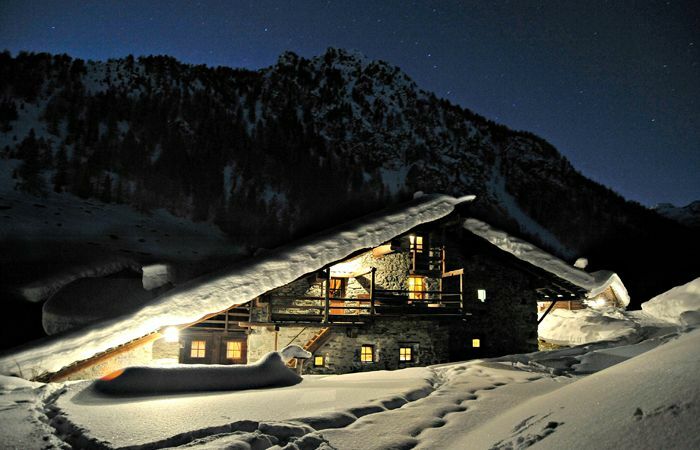 For those looking for a private and secluded break, this stunning hotel is only accessible by skidoo because it’s tucked away in the heart of the mountains. Many of the rooms have wooden beams and log fires and there’s also a fantastic underground spa for guests to enjoy. 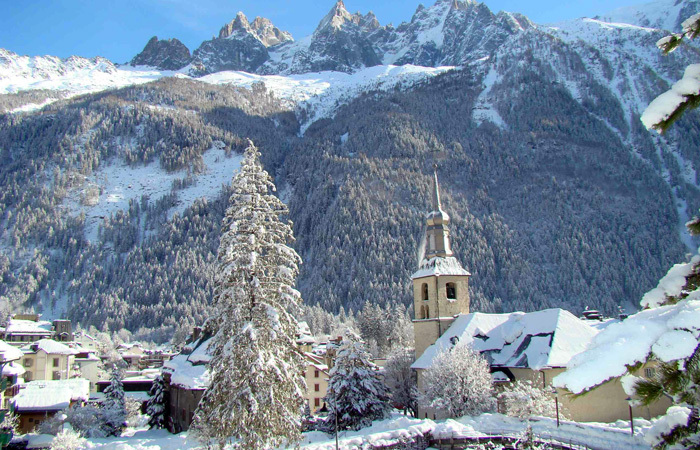 Courmayeur is a fantastic resort set at the base of Mont Blanc within the Aosta Valley. New for the 18/19 winter season the wonderful Hotel Le Massif is an exceptional winter retreat for couples; submerging its guests into a feeling of grandeur and a hassle-free environment. 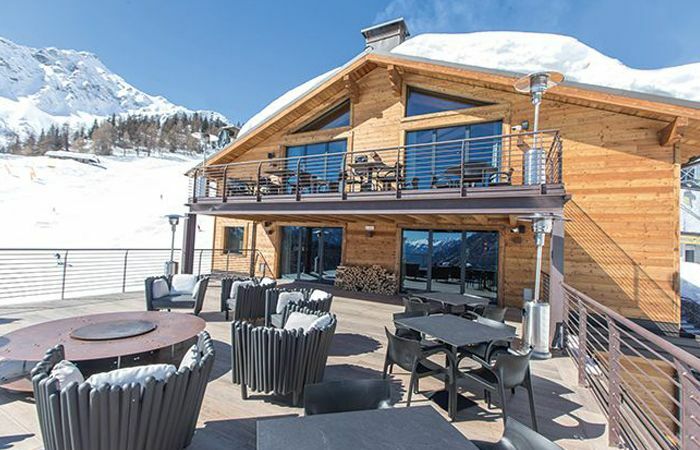 the hotel boasts multiple restaurants, a fashionable bar, two incredible terraces offering panoramic views and a magnificent spa to wind down in after a hard day skiing. 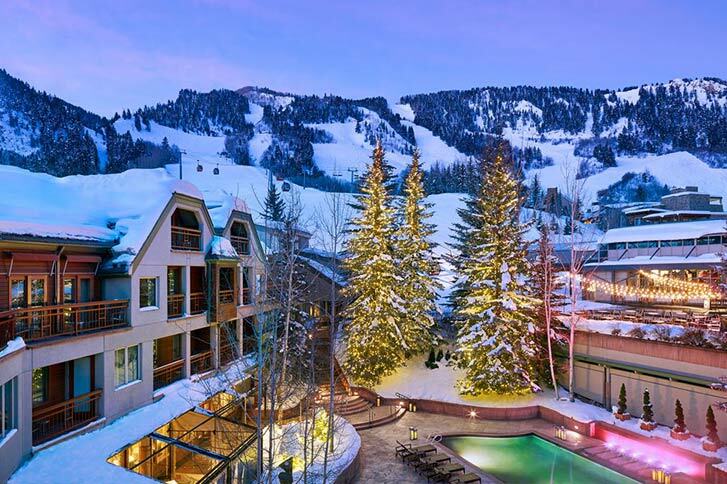 These residences offer ski in ski out access and complete privacy, with each of the 26 guest homes having their own private facilities. The Element 47 bar is the perfect place for wining and dining and The Oasis is the world’s first on-mountain champagne bar, where couples can enjoy a glass of champagne and the alpine views together. The hotel name says it all in terms of romance! 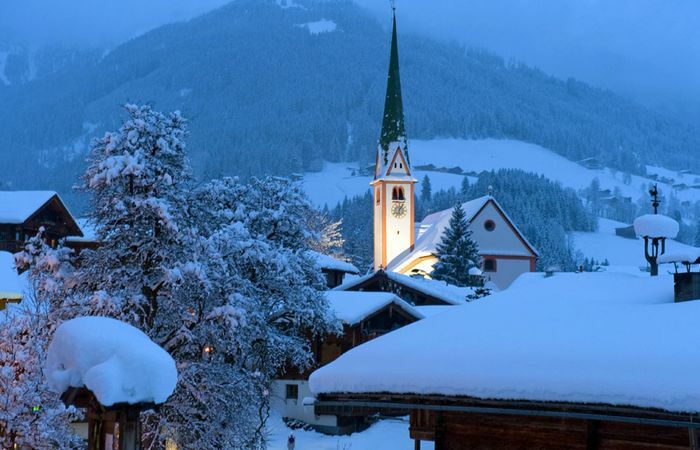 Alpbach is known as being Austria’s most beautiful village and this hotel has award-winning cuisine, as well as special activities including free wine tasting, fondue nights and torchlight walks. 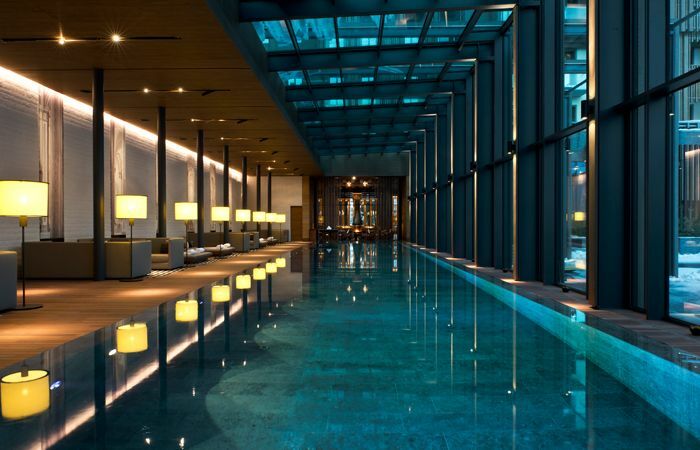 Offering special couples retreat packages, The Chedi Andermatt is a five-star hotel with luxurious touches for couples to experience. These include a 6,000 bottle wine cellar, bespoke cheese room, a world-class spa and two gourmet restaurants. This hotel oozes luxury throughout with excellent spa facilities and Angela Hartnett’s Cucina Angelina restaurant based at the hotel. Close by is Aquamotion – the largest mountain waterpark in Europe, with a wellness and spa area and aqua sports facilities. Courchevel is ideal for those looking for a romantic ski retreat with the option to take part in plenty of other activities.